Aerial view of Dogfish Head Learning Garden. Raymond J. Sander, president of Delaware Botanic Gardens, and DBG Advisory Council Chair Carla Markell announced that two new key members have joined the gardens’ advisory council - Mark Carter and Lillian Harrison. The Delaware Botanic Gardens hosted its annual fundraising dinner Sept. 6. 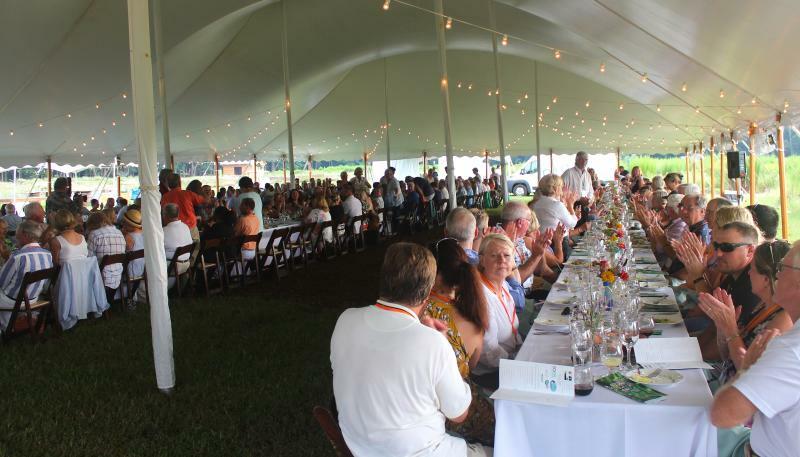 It was the first time the event was held at the gardens’ home – a 37-acre forest and former soybean field outside Dagsboro that runs along Pepper Creek. Delaware is reknowned for its picturesque beaches - our scenic waters have motivated thosunds of retirees to move to our area over the last decade. The second smallest state will soon be known for something perhaps even more beautiful, an attrraction that will also draw vistitors to Sussex County. 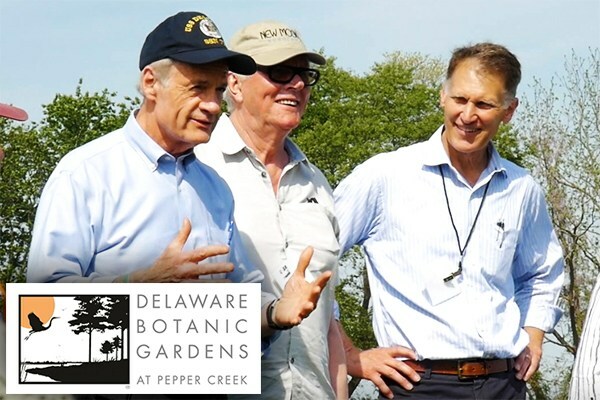 A determined group of Delawarians plan to open the Delaware Botanic Gardens or DBG at Pepper Creek to the public in 2019 - it will be the first of its kind in the First State. 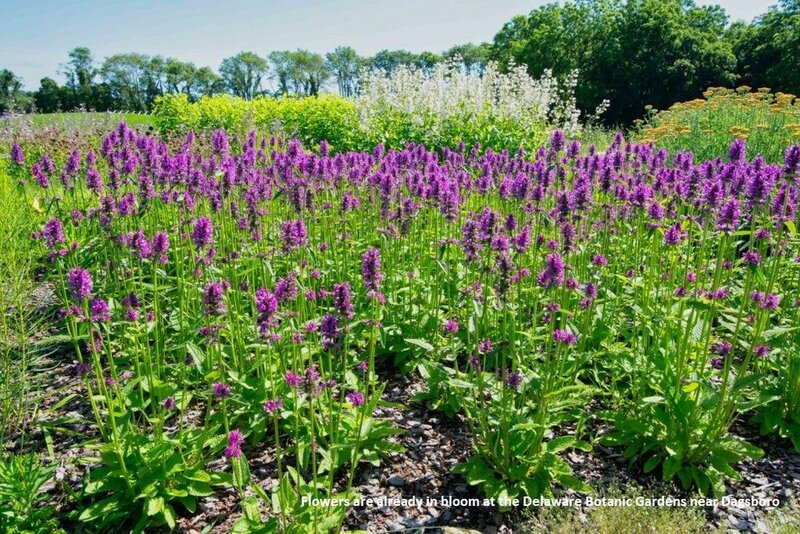 The Delaware Botanic Gardens and Piet Oudolf were featured in the Spring 2018 issue of Garden Design Magazine. You can read the magazine article by clicking here. The Delaware Federation of Garden Clubs was recently recognized nationally by the National Garden Clubs — a not-for-profit educational organization comprising 50 state garden clubs and the National Capital Area, with 5,000-member garden clubs and 165,000 members. “We’ve had several awards, which is so unusual for Delaware, because we’re little. We’re up against 49 states which are a lot bigger,” said Delaware Federation of Garden Clubs President Lisa Arni. The official groundbreaking for the former Dagsboro farmland—but now 37-acre Delaware Botanic Garden (DBG)—was in December 2016. Within the natural beauty of the 12-acre Woodland Garden on Pepper Creek, paths were cleared and native trees and plants added. But the gardens were still mostly a vision and some wonderful sketches of a “garden to be.” Thanks to volunteers and some hard work, the DBG is scheduled to open to the public in 2019.